Serenity Now: Meal Planning Board Tutorial and Supply Giveaway! Happy Thursday, friends. 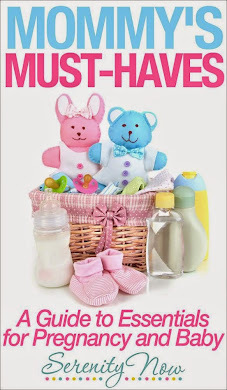 I have a fun guest post to share with you today. 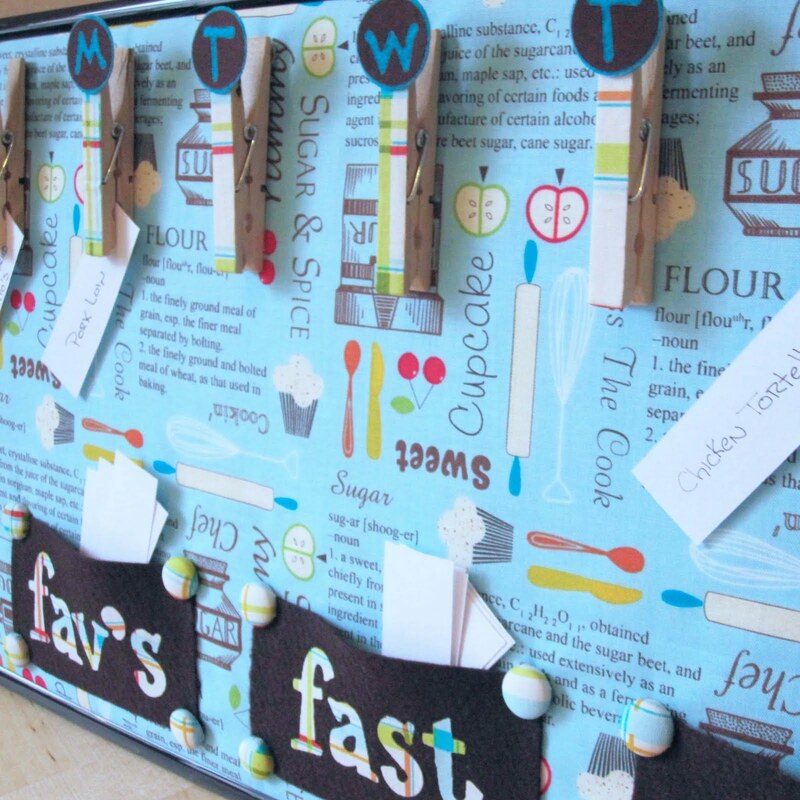 Jaime's going to show you how to create a beautiful and functional Meal Planning Board for your family. Check it out! This Meal Planning Board (originally inspired by Charity over at All Things Beautiful) is part of my Kitchen Command Center and is probably one of my favorite projects so far! It actually inspires me to cook and get a little more adventurous with our meals ... plus, it lets my husband get in on the action and clip-up a few meals that he'd like during the week. Now don't be intimidated by all of the parts and pieces to this Meal Planning Board ... it's REALLY easy, I promise! I whipped this baby up in a little over an hour ... even with the "help" of a set of 3-year old toddler hands ... that includes making the the decorative clothespins and push-pins too! 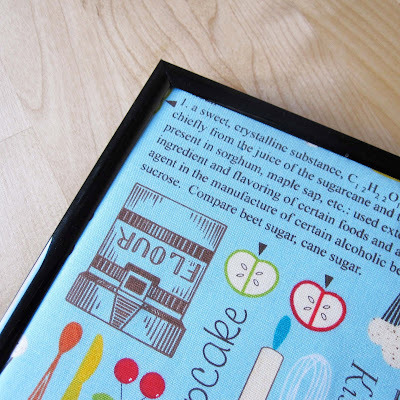 Grab your frame and toss the glass (or save it for another project).You'll just be using the frame and the frame backing. 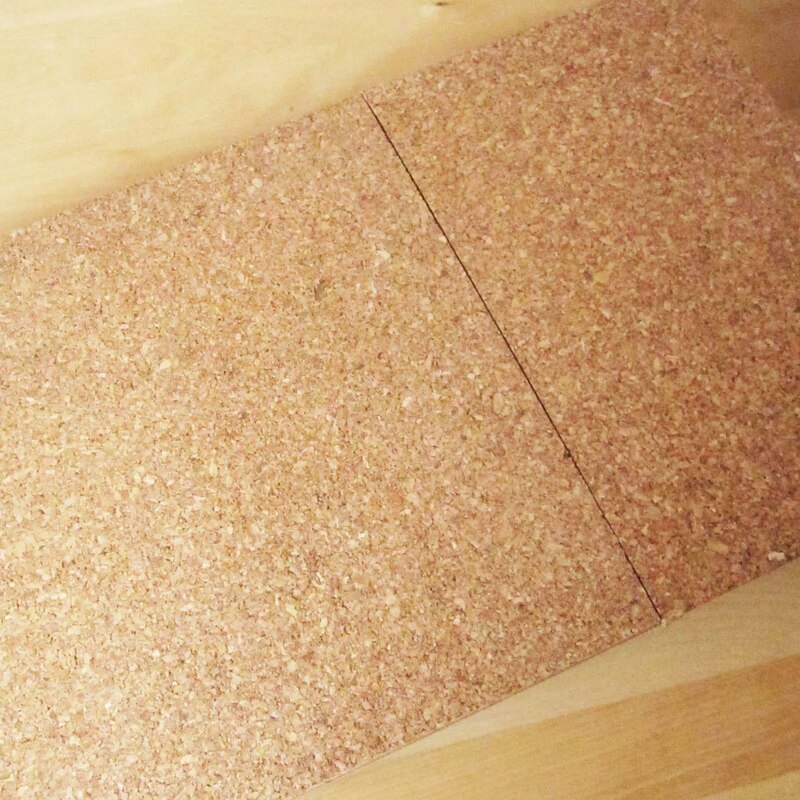 Cut your cork to the size of the backing. I used two pieces of 12x12 squares and cut them to size. Glue your cork to the frame backing. 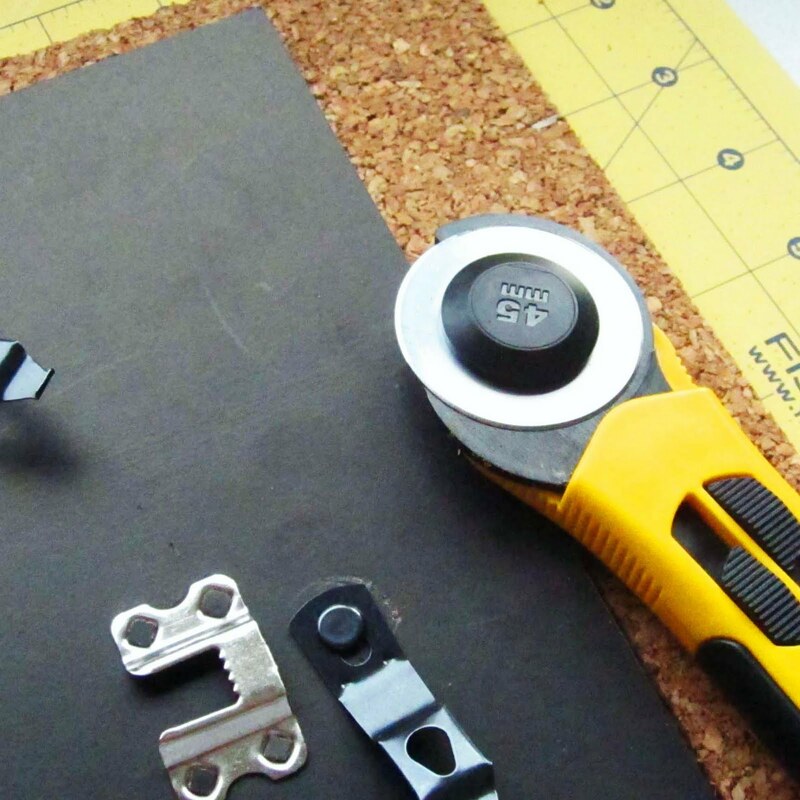 Cut your fabric and felt slightly larger than the frame backing. Lay your fabric face down, then your felt, then your corked backing. 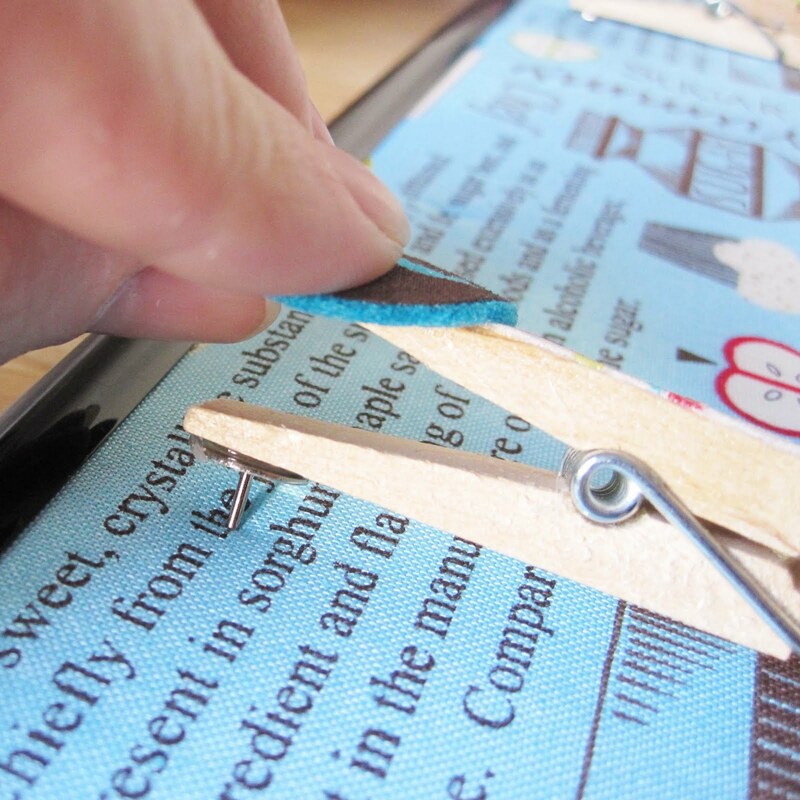 Wrap the fabric/felt layers around the board and glue to secure, and place in your frame. 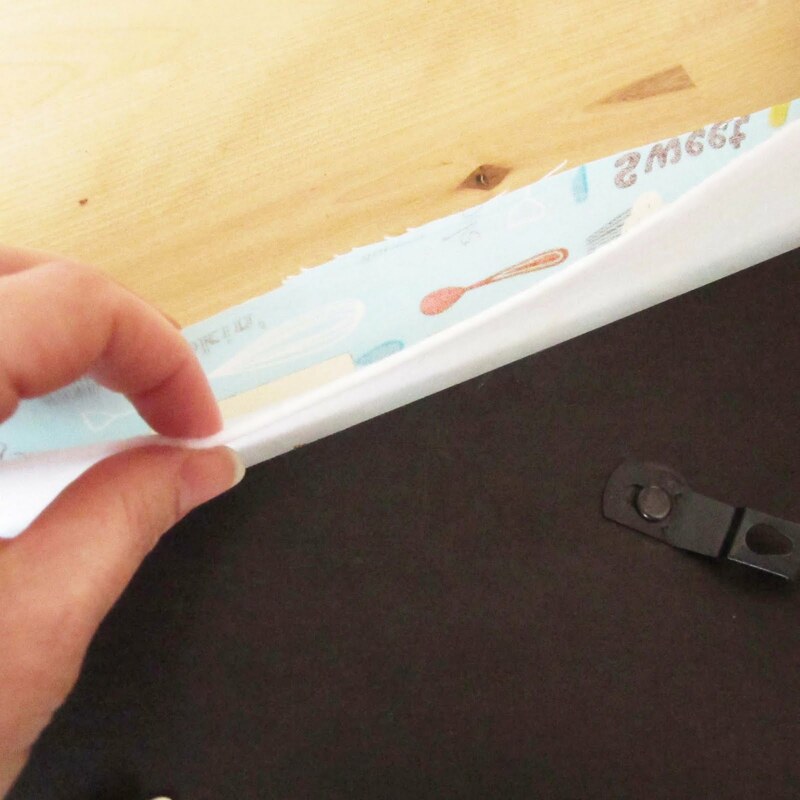 Flip it over and you have a cute and slightly cushioned fabric board! 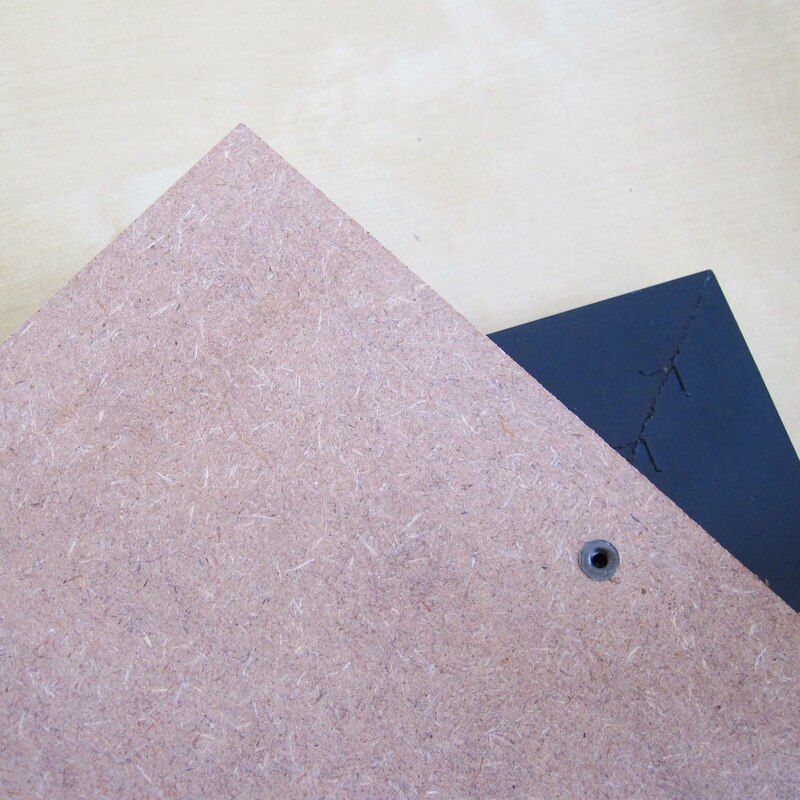 The felt helps make the board a little "cushy" (is that a word?) and gives it a more finished look. Ok, get those the Decorative Clothespins ready! You can check-out my tutorial here. I used my Sizzix machine to cut the felt circles and the letters. 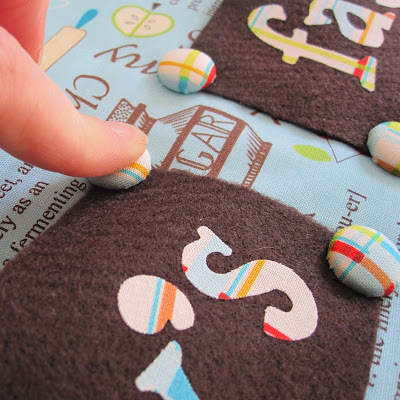 You can absolutely use stickers or other pre-made embellishments for this too! 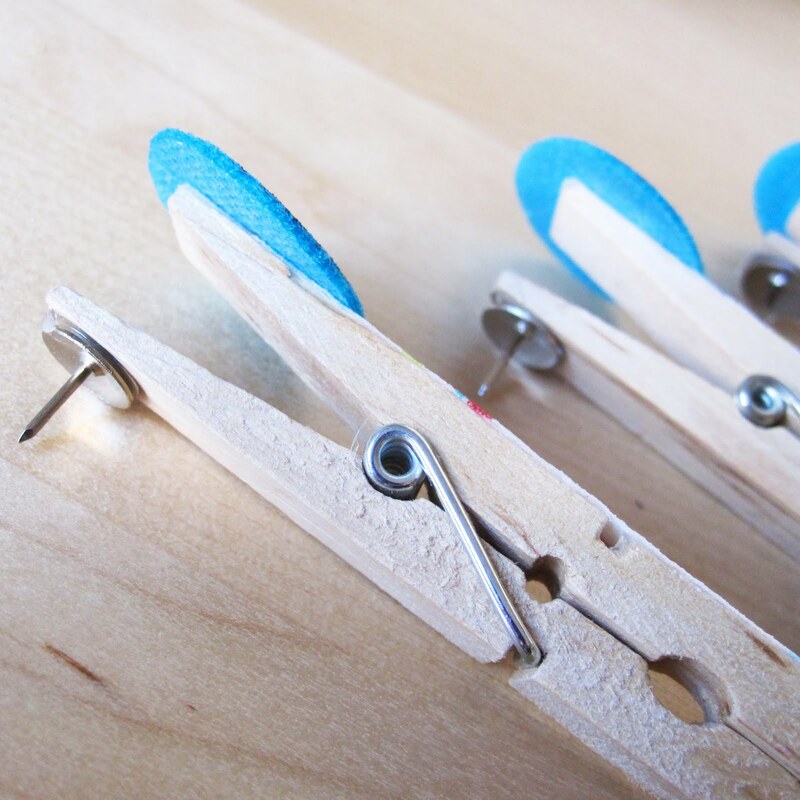 Space out your clothespins and simply push them into place! 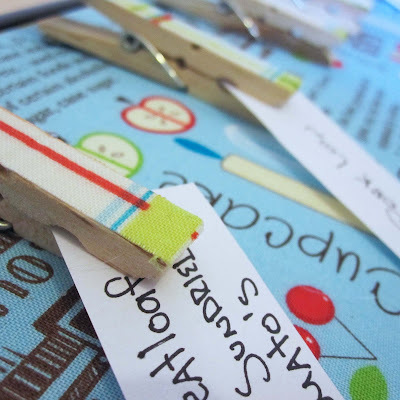 I started with Wednesday's clothespin in the center, then Sunday on one edge and Saturday on the far edge. Then it was simply dividing the remaining space. 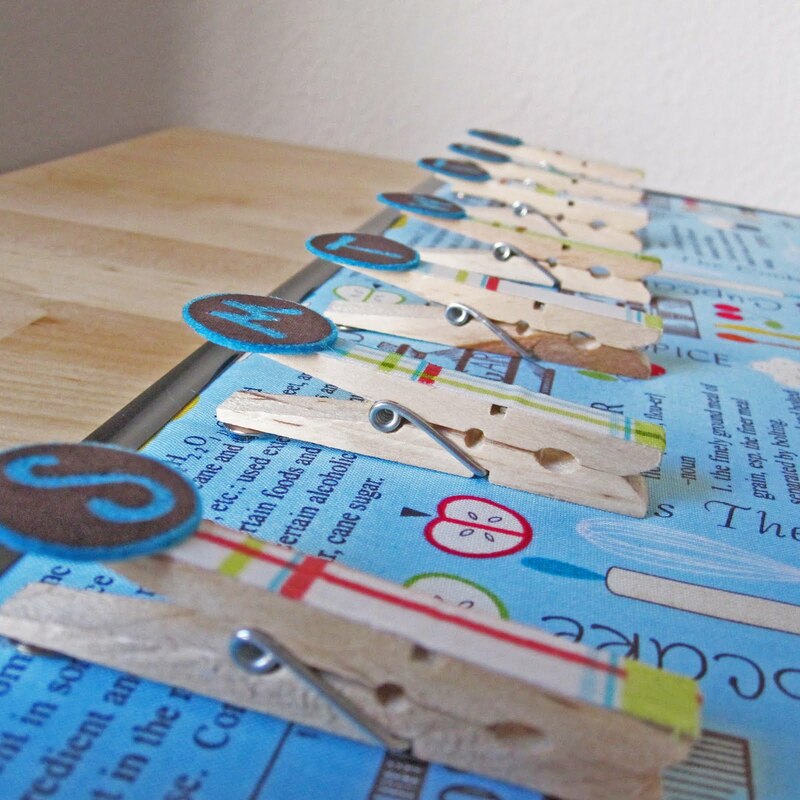 Ooh .. they look like little clothespins soldiers all lined up in a row! This makes me smile. Now cut those felt scraps into rectangles so you can create storage pockets for all of your meal choices. I chose to make 3 categories of meals and therefore needed 3 pockets. 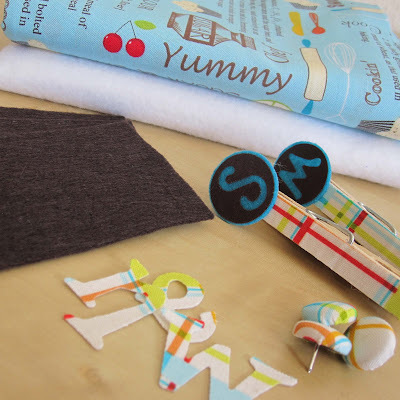 Again, I used my Sizzix to make iron-on fabric letters, but you can use stickers too! Grab your decorative push-pins. You can find my tutorial here. You'll need 4 push-pins for each pocket. Pin your bottom corners. 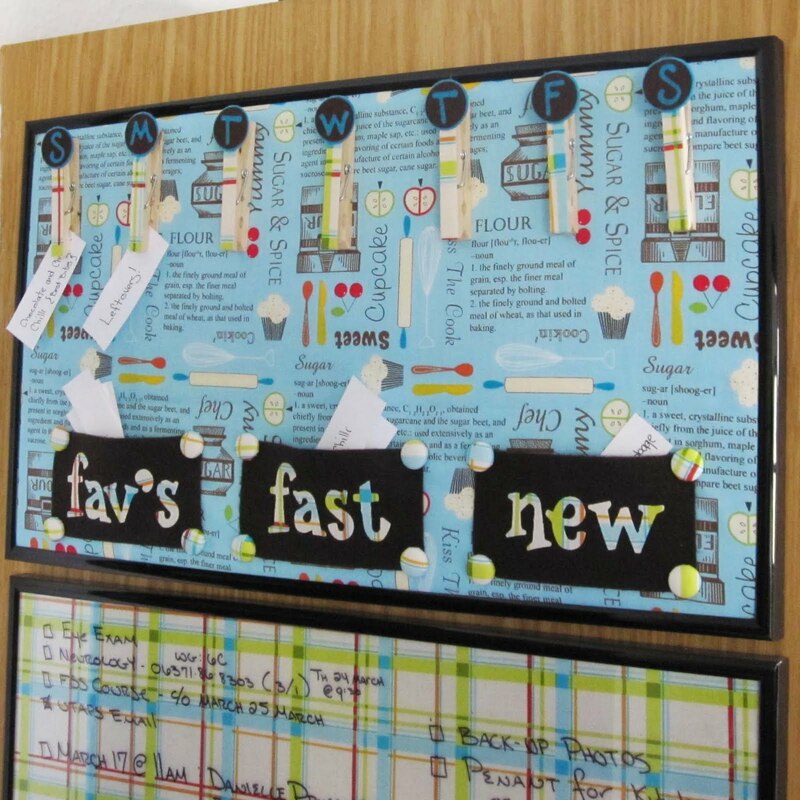 Before pinning the tops, make sure you leave a little extra room so there is space to slide your meal notes. Ooh! 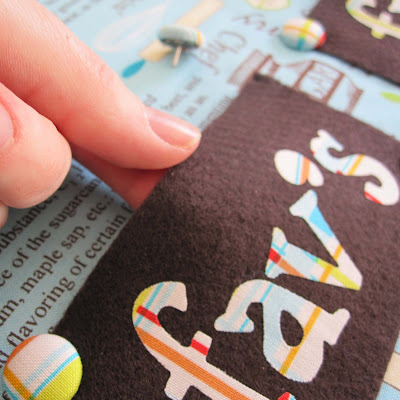 A cute little row of menu pockets! I made pockets for our "favorite", "fast", and "new" meals and so far it's been a good fit for the way our meals work here. 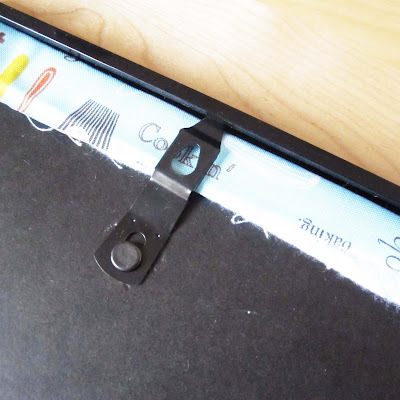 You can add a little row of glue along the bottom of the pocket to prevent the meal cards from slipping out the bottom. Now you're ready to start planning your meals! I simply cut strips of regular printer paper and wrote out our meals by hand. 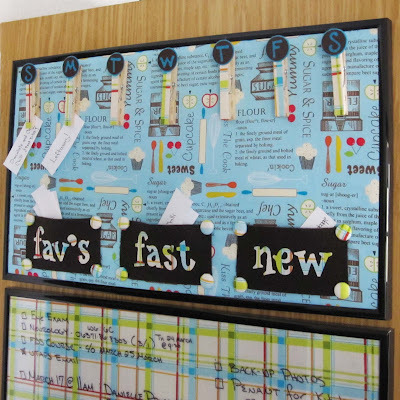 The Meal Planning Board is hanging proudly at the top of our Kitchen Command Center! Thanks again, Amanda, for the opportunity to guest post on your fabulous blog! Wasn't that a fun project? 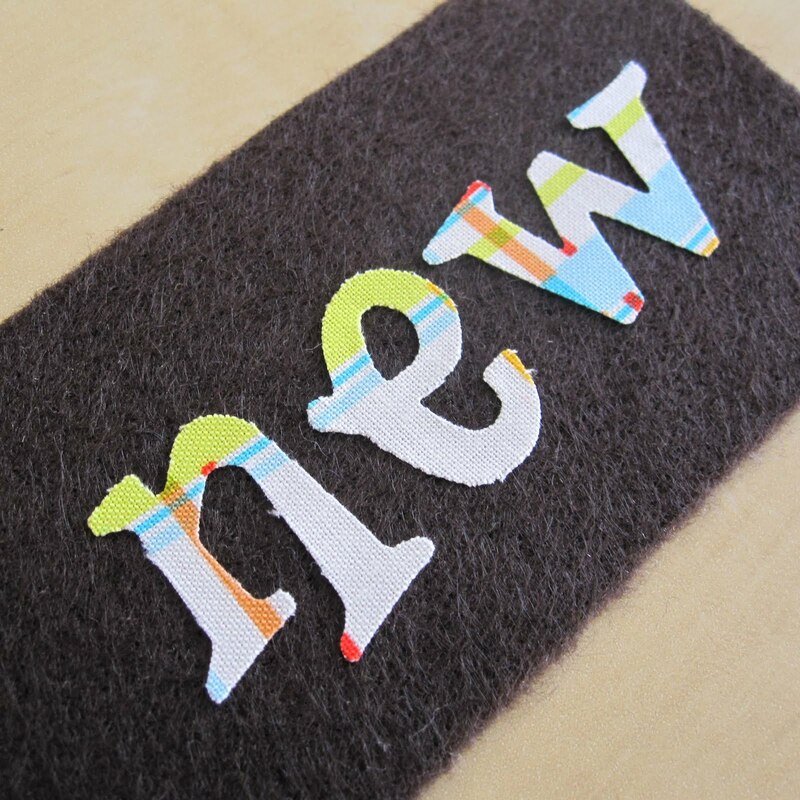 Jaime is the creative mind behind ChiChiKids on Etsy; a cute shop filled with Custom, Iron-On Fabric Letters to embellish any DIY project! Her motto is "Chic Designs at Small Prices!" Jaime is giving away a set of supplies to help you get started on your very own Meal Planning Board! The Winner of the Giveaway will receive a set of 7 custom-made Doodle Dot Letters and 20 custom-made Sassy Letters in the fabric prints and letters/numbers of your choice! All letters come ready to iron-on, no sewing required! 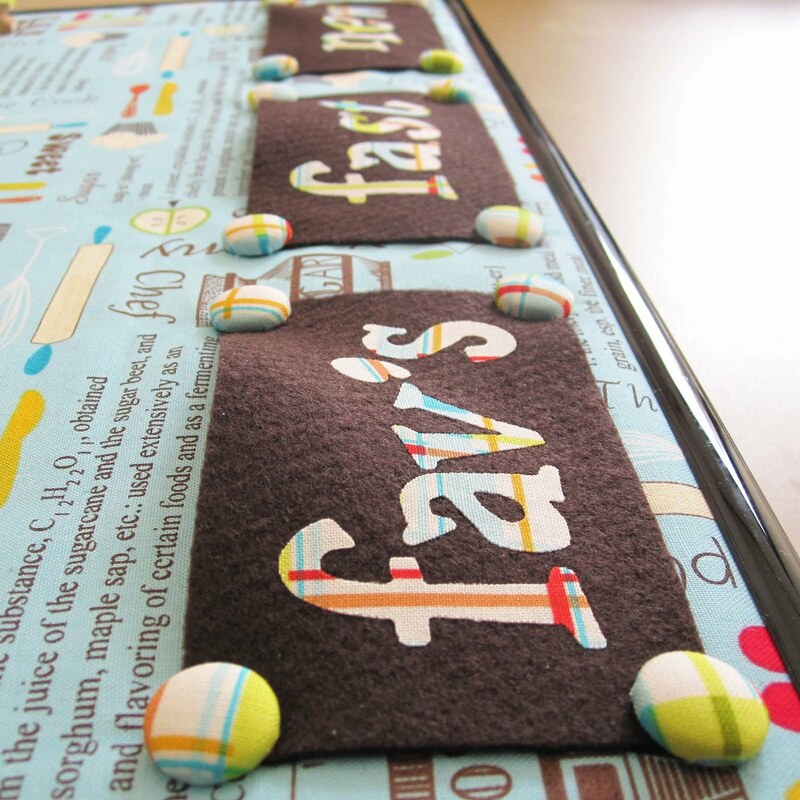 Jaime used the Doodle Dot Letters to embellish the clothespins on her menu board! She used the Sassy Letters to label the storage pockets on her menu board. 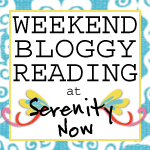 Jaime is offering Serenity Now readers a 15% discount in her shop through May 14th! Just use the coupon code SERENITYNOW15 at checkout! 1. (mandatory) Leave me a comment with the name of your family's favorite meal. 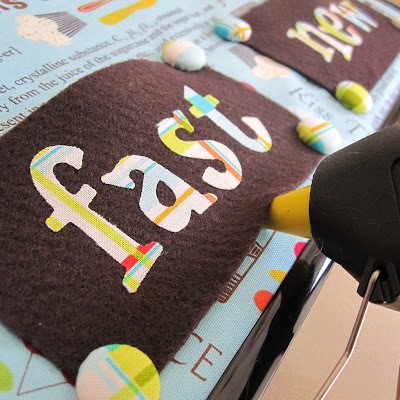 What a great project for busy families! I love her message board below her meal board as well. What a great idea! It would definitely help out with making sure I take out meat from the freezer ahead of time instead of the last minute. My family's favorite meal is hot dogs and hamburgers. I know it sounds simple but everyone eats it. Thanks so much for the chance. That board is adorable! I love the pockets at the bottom...I bet we would eat pizza a lot less if I had something like that:) I think our favorite meal is spaghetti! Love this board!! Our fave meal would be spaghetti as well!! I liked Chi Chi on facebook! I did a facebook post on your giveaway! What a fun, cute project! Before I even saw that you were also holding a giveaway, I was thinking "mine would say "Mac & Cheese" every night"--seems like this is all my kids eat these days. Anyway, this is adorable. I love it and I bet it is a HUGE help with organizing meals. What a cute idea! 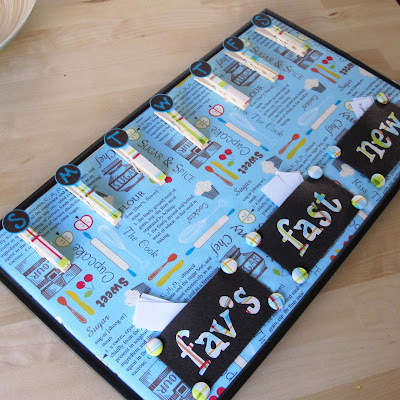 I don't need a meal planner, but I love the way she used cork, felt & fabric to make a board. 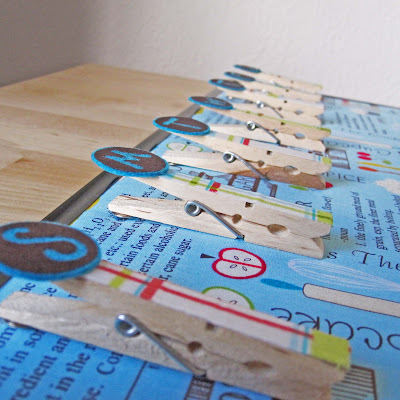 And the decorative clothespins...great ideas! my family's favorite meal is grilled steak and cheesy potatoes; what can you expect with four boys! Great idea! This would make meal planning so easy and everyone in the house could have a say in what is prepared, not just the cook. I love this!!! What a great idea and so cute too! Let's see...one of our family favs is homemade taco night! I love this board! What a fun way to do it! 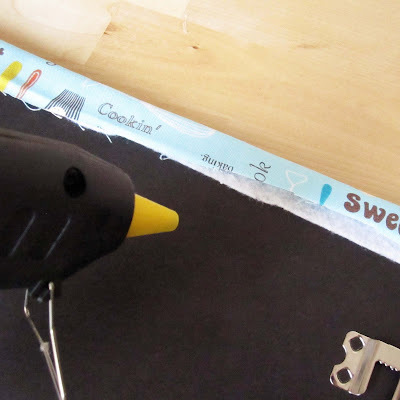 I would love to win the supplies to help me create one at our house...I am going to use this idea for help with some chore chart needs we have...you got my creative juices flowing! Great tutorial! Thanks! Favorite meal depends on who in my family you ask. My kids love our homemade mac n' cheese. I love this idea! My husband always wants to go out to eat but maybe if I set this up and he can help with the meals he'll be more amenable to staying in :) Thank you for sharing! oops oh darn! forgot to tell you our favorite meal at home is chicken enchiladas! YUM! I liked OH SO Chichi on my FB page and my FB COFFEE. CLEAN. CUPCAKE. page too! Our favorite family meal is baked ziti! I "like" OH SO ChiChi on facebook!